And this week, as always really, the Word. Is. Good. 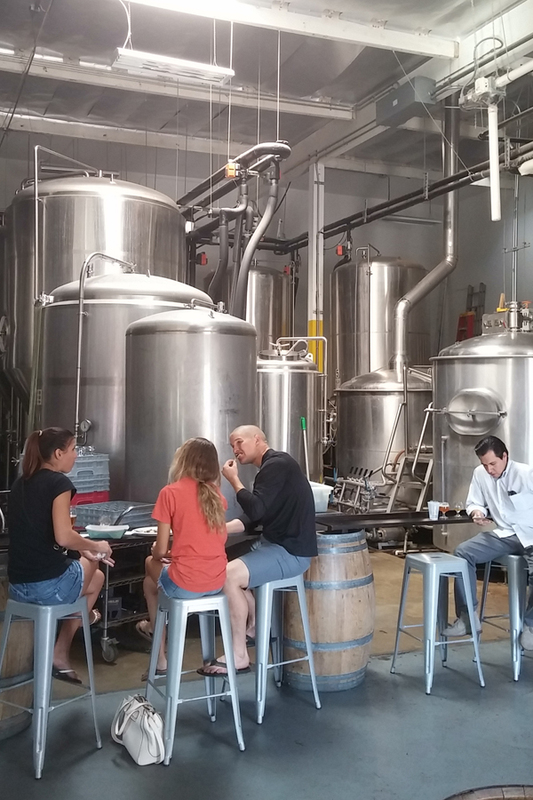 Recently, I gave a tour to family of a few of my favorite Southern California Breweries, and this week I’m taking a look back at the maker of one of my favorite beers: Noble Ale Works. I can’t remember when I first tasted their Naughty Sauce. Looking at this beer in the sunlight for the first time, I was amazed by its beautiful and vibrant gold color. Then I was thoroughly surprised to taste large hits of coffee, roastiness, and chocolate just like in a thick stout. It played tricks with the mind, but went down easy. 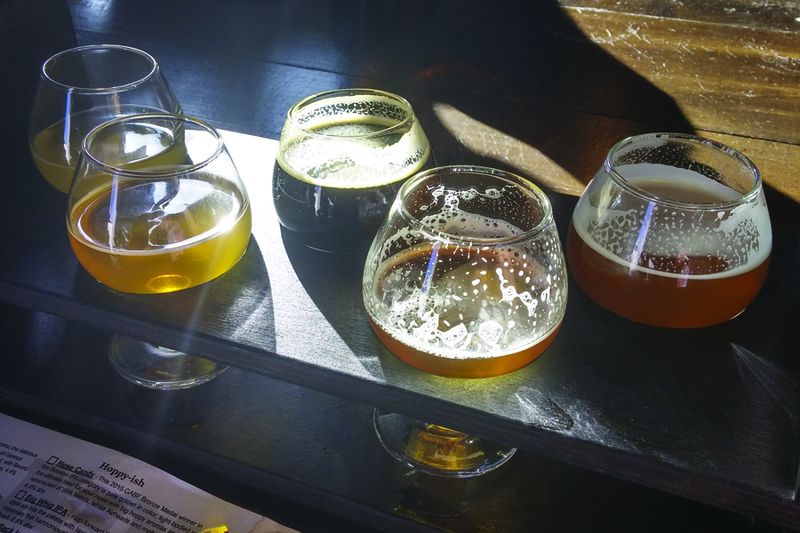 The other week, I finally made the pilgrimage to Orange County to visit Noble Ale Work’s headquarters, and the best way to tackle this brewery on was through a flight of their incredible beers. I had to get Galaxy Showers (a very hoppy IPA with delicious and tropical Galaxy hops, 8.8%), Gosebusters (a tart, fruity and salty wheat beer, 4.8%), and Weekend at Burnie’s (a double IPA with spicy peppers, 8.8%). While these three were near the top of my list, it was one of their seasonals that knocked it out of the industrial park. No, not the fashion piece that everyone who shops at Trader Joe’s on a weeknight wears, but a delicious sweet milk stout with pumpkin pie spices. While I am a big fan of pumpkin beers (post-Labor day), this Pumpkin Spice Latte inspired beer is a true winner. Not overpowering with its hints of cinnamon, nutmeg and clove, the beer has an a silky smooth mouthfeel and is worth a full pour of it on a cool, crisp fall afternoon. 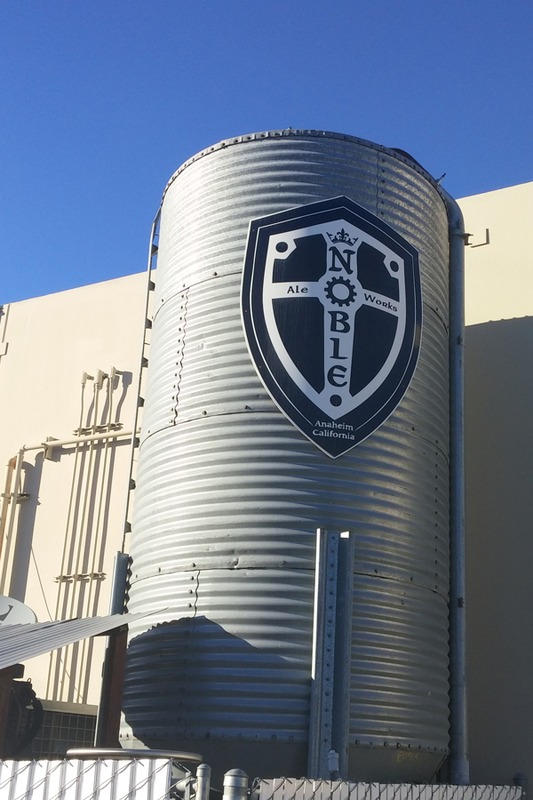 All in all, the first trip to Noble Ale Works was a a true success, and definitely worth a visit if you’re near the OC. 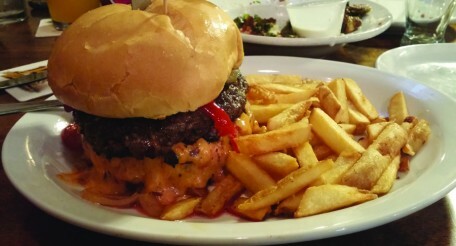 See you Wednesday for an all new sandwich review, and next Friday for another FRIDAY BREWDAY.